Qik’s Launch On The EVO 4G: Where Did It Go Wrong? The few lucky people who attended Google I/O were each given an EVO 4G, only to find that they couldn’t use the two-way video chat, as Qik wanted to wait until the official launch date to update the software. With the EVO in the hands of thousands of developers who attended I/O, Qik could have beta tested their new features to make sure the release was as smooth as possible. Instead, they waited until launch day to release the update, and EVO 4G owners found themselves unable to try out two-way video calling out of the box, as they were unable to login at first, and shortly after the whole app seemingly disappeared from the Market altogether. Frustration was in the air. Earlier in the day we ran into a snag with Qik for HTC EVO 4G not being visible in the Android Market from the HTC EVO 4G devices – even though it was published to the market. Hats off to our great partner Google. 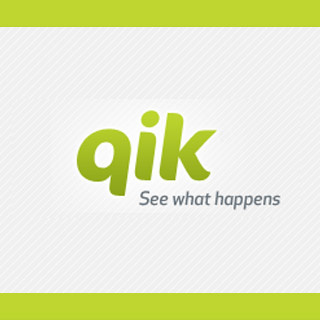 Their Android team jumped in, found the issue and came up with a workaround that enabled us to at least get the new Qik Video client out to our users. We had an unprecedented 20X the amount of workload on our servers. As a result, you were seeing issues connecting to our service on and off. So, our team is now out provisioning more capacity and we expect to have this in control shortly. Update: We have unpublished the client till this issue is resolved. Since Friday, Qik returned to the market but the damage has been done. Most new EVO users are likely not familiar with Qik and would blame Sprint or Google for the fail whales. In their defense, Sprint could have done a better job at testing, foreseeing such high demand based on preorders and Internet opinions. One thing is certain - this unprepared launch won’t make a great impression on all those users tempted to get the premium version of the app! I’ve spoken to some people who own an EVO, and most of the issues seem to have been ironed out now. Despite this, a few people are reporting occasional issues with the calling, though not entirely unexpected with such a large scale launch full of fail. If you’ve used Qik on your EVO, let us know how you’ve fared. Is it as good as promised, or have you already started using Fring instead? We’ll ‘see what happens’ with Qik as more people take the plunge and buy the EVO 4G.